Thanksgiving is a time we all think consciously about what we have gratitude for. As those of you know who have been reading my blogs for awhile, I speak of appreciation/gratitude regularly. I truly know when you live each day consciously thinking about or writing down what you’re grateful for, you live a more joyful life. Wouldn’t you agree? As I’ve shared before with the Emotional Scale, you are all energy beings and your vibrations will be higher when you can stop many times throughout your day to think about what you appreciate. I’m a visual person and it helps me to have this Emotional Scale handy to remind me that I am responsible for my choices and what I’m feeling at any given moment. You are human and you will live on the right side of this scale many times each day perhaps. Only with your awareness of this scale and what you’re feeling, you can shift to the left side of this scale more easily when you use gratitude or appreciation throughout your day. I call appreciation a doorway to get the the left side of this scale where your vibrations are higher. Or depending on what’s going on with you, you may simply raise your emotions on the right side, to a higher vibration. I share about going on your own “Rampage of Appreciation” throughout your day to help you create a life you love. Stop at different times during your day, and look around you to appreciate things you see or close your eyes and see people, places and things you have gratitude for. I begin each day writing a few things down in my Gratitude Journal. It sets my day up for greater success. Some people choose to write in a Gratitude Journal at night. Which ever way works best for you, I encourage you to begin this practice today! 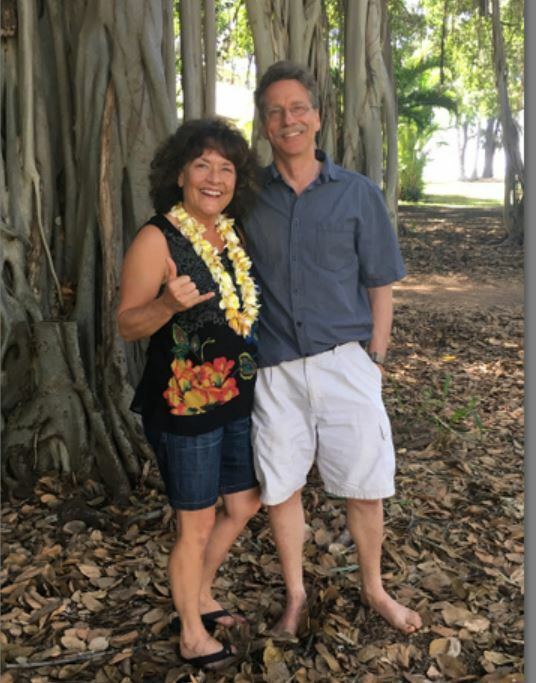 The photo shown is of Hale and I at our 2016 Kauai Spiritual Vacation Retreat. I have so much gratitude he came with me to experience what I do as I teach my favorite 10 Universal Laws, have fun as we explored this glorious island, and all of the unique experiences that come with this one of kind retreat in paradise. Our relationship became closer during and after this special vacation retreat. Perhaps you too will treat yourself to all of these experiences with just yourself or with someone you love? 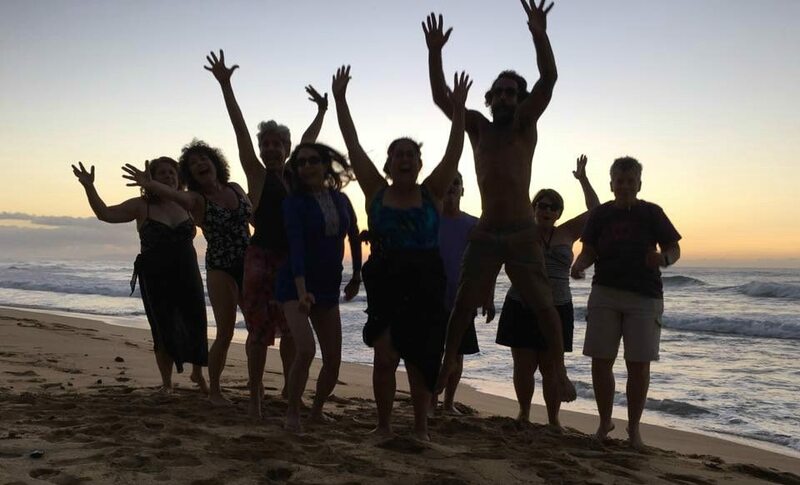 Next Glow Kauai Spiritual Vacation Retreat is October 5-12, 2018. Contact me ASAP to have a conversation to see if it could be a fit! I’m grateful for Hale and who he is and for our relationship. I count my blessings each day I have parents who are doing well at almost 88 and 86 years old. That they are able to experience a wonderful 12 day Panama Canal Cruise, as I’m writing this! I’m grateful for my entire family which includes my 4 siblings and their families, my daughter, son, his wife and our 4 grand kids. I’m grateful I get to be with my parents and family back in Toledo for Thanksgiving. To finally get to see and hug my nephew Login I have written about who is healing from being hit on his motorcycle. He’s doing his therapies and resting many hours each day. It takes time to heal from this kind of injury. Keep sending Login healing prayers each day. I appreciate all of you who have been sending him prayers since I first wrote about him. I’m grateful for the great health Hale and I have. Taking care of ourselves over the years has created our level of health. There are so many friends, experiences and things I appreciate in my life. I am grateful for each of you who read my “Sharing From My Heart” blogs each week! What are you grateful for during this time of Thanksgiving and throughout each of your days? I would love to hear from you with your thoughts. Will you email me back or leave a comment below?